If you haven't noticed yet, I like shiny things. 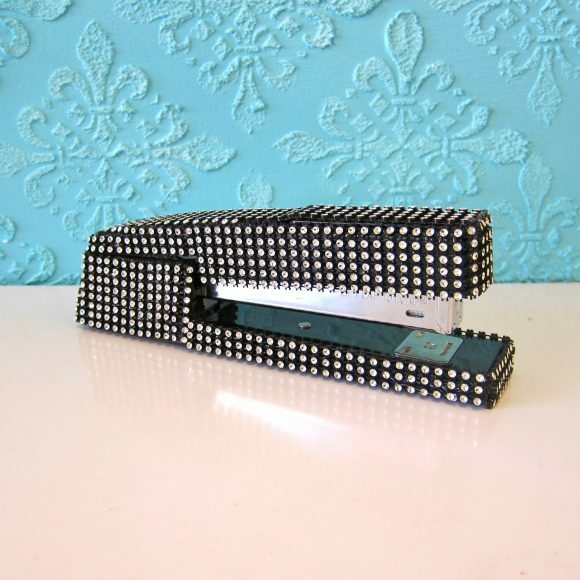 The quickest way to up the glam factor on an inexpensive item is to make it shine with paint or with bling. 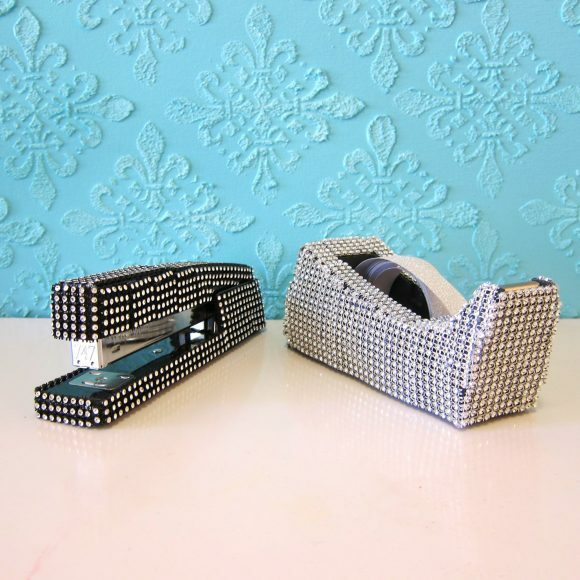 I decided to transform my office supplies quickly and inexpensively by using bling on a roll, a mesh that has rhinestone like "stones" on it. 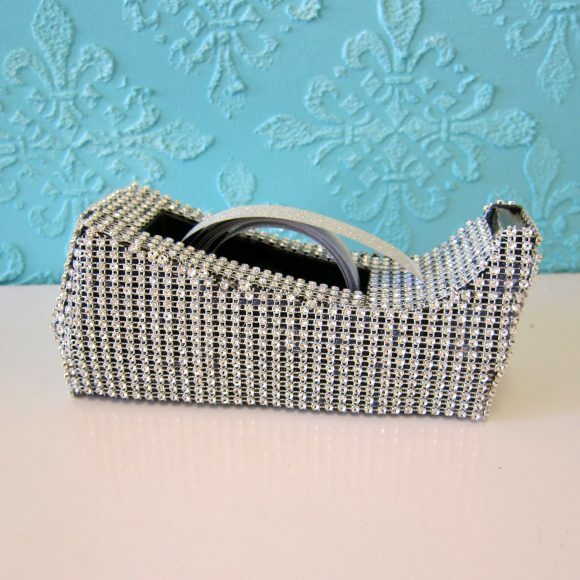 The mesh makes for a quick and inexpensive way to "bling" ordinary items. 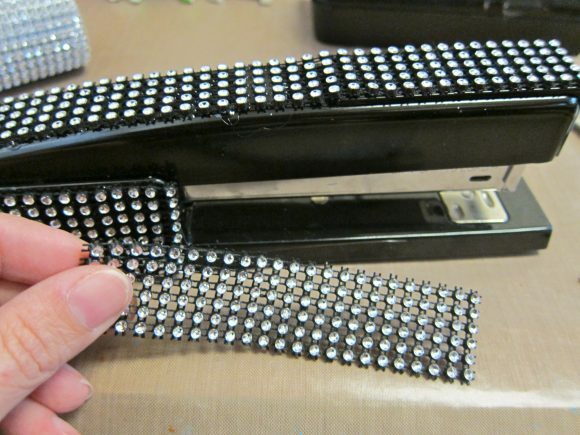 Step one: Cut a strip of bling on a roll to fit one side of the stapler. 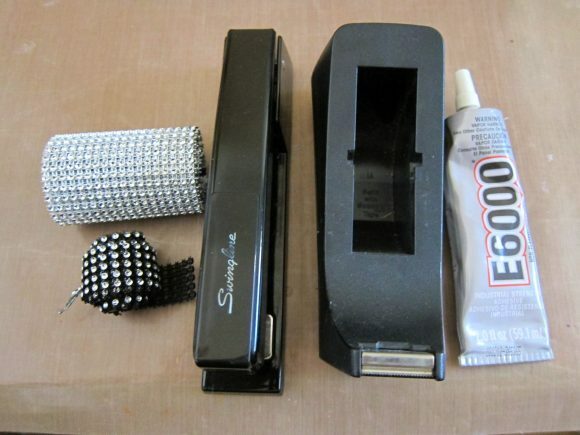 Step two: Put glue (I used E-6000) on the side of the stapler and adhere the bling. Step three: Repeat until all sides are covered. You can fill gaps by cutting individuals facets off the mesh and gluing them on. If your glue is taking too long to dry or the bling is slipping, use a dot of hot glue to hold the bling mesh in place while the glue dries. I think my desk supplies look so much more chic now! Why not start the new year with a bling and a bang? 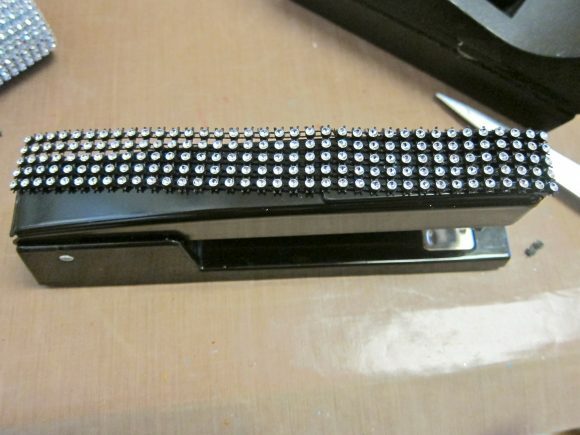 It would be fun to make a few of these to slip on co-workers desks over the holidays, so they can start the new year with some sparkle and a smile. 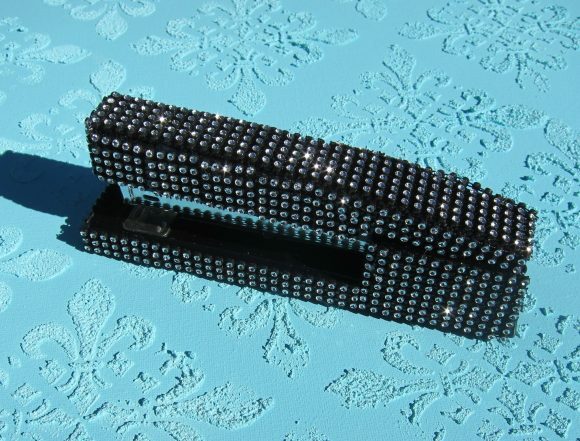 Next on my bling list: my pencil holder!